Diego “Guerreiro” started training capoeira in Napoli in 2002 with the group Capoeira Triarte. In September 2005 he moved to Shanghai, where he started organizing a capoeira group composed by students from all over the world. In October 2007 he invited Mestre Marcelo to Shanghai for a 3 days workshop. That event changed the history of Capoeira Shanghai, which became part of Mestre Marcelo’s group “Capoeira Mandinga”. Diego was given the apelido “Guerreiro” and continued teaching as monitor of Capoeira Mandinga Shanghai. After three years of hard work in Shanghai, in September 2008 he could finally organize and enjoy the first Capoeira Mandinga Shanghai Batizado, where he obtained his yellow belt. In 2012 at Capoeira Mandinga Shanghai 5th Batizado he became Instructor and in 2015, in Oakland (Mandinga Formatura), he became Professor Guerreiro. Our friend and camara Kawasaki “Corre Atras” will leave Shanghai on the 20th of January. So there will be a big farewell roda on Saturday 17th, followed by a party/dinner at Japanese Restaurant “Hewei” (all you can eat and drink), on Julu Lu by Maoming Nan Lu 20:45. 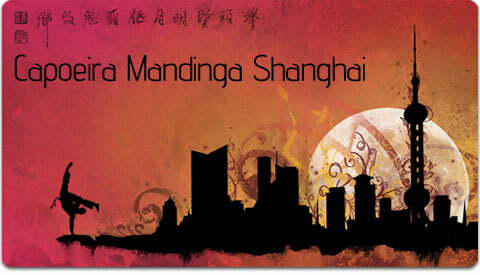 Welcome to Capoeira Mandinga Shanghai’s Website! The first Capoeira Mandinga group in China! Composed by a dynamic group of capoeira enthusiasts from all over the globe. 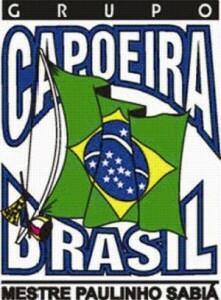 Within our group there are different levels of capoeira, so beginners are always welcome, as well as everyone else! Classes are held weeknights and Saturday afternoon. Weather permitting, CMS holds open rodas in Zhongshan Park. Additionally, we hold more formal performances upon request. If you would like to have us perform at your event, please visit the events page. For a full list of past and future events, please visit the Events page. On September 19th-21st, CMS successfully held China’s first Batizado. CMS is excited about the success of this event. We would like to thank the visiting Instrutors, Contra Mestres and Mestre Marcelo. Contratulations to all the Capoeiristas who were baptized and received their Cordao. Last but not least, thanks to our sponsors, without which this event could not have happened. Don’t forget for check out videos and photos from this event! Read more about our group!